It is the mission of Just for Kids, LLC to maintain a staff that is dedicated to the social, physical, psychological, and academic state of all children that are enrolled in our program. We welcome warm and joyful personalities yet firm and strong-minded workers. We focus on the importance of “family” in which we consider the children and staff. Our operation will provide a safe, nurturing, relaxing, and recreational environment where children will engage in various activities that will foster their growth in becoming productive and distinguished citizens of society. 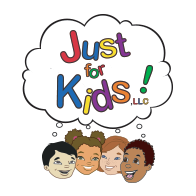 Our goal at Just for Kids, LLC is to introduce and reinforce the arts, technology, sports, and academic foundations that you and their families have set before them. We encourage community service, as it is our duty to give as we receive.